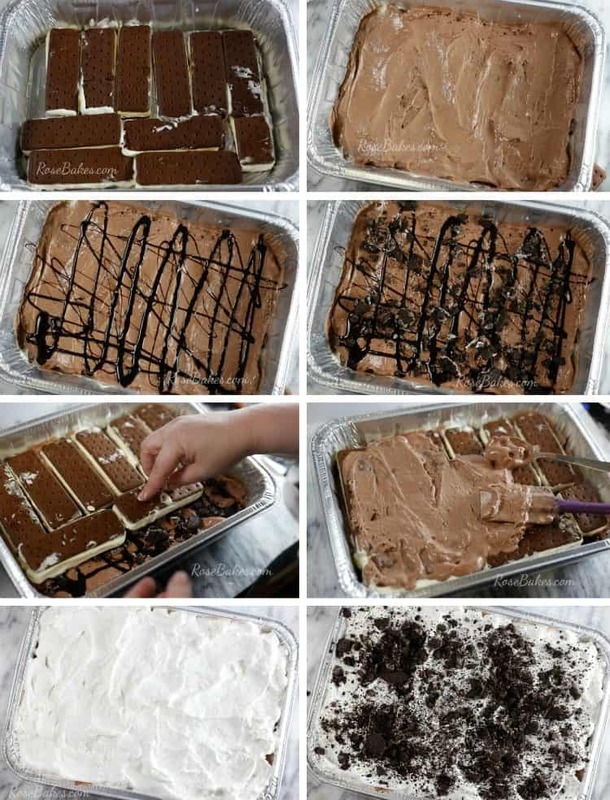 Easy Ice Cream Sandwich Cake. Do you ever have a dessert once and never forget it? Even for years? 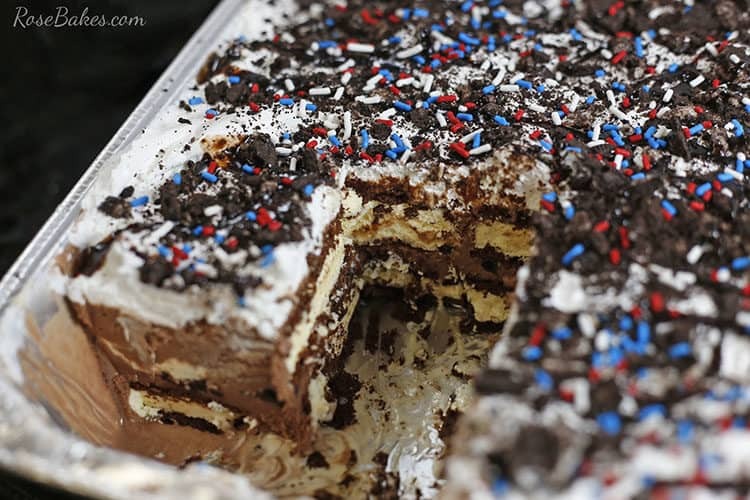 Well that’s what happened with this Easy Ice Cream Sandwich Cake. I have no idea why it took me years to make it – this dessert only takes about 10 minutes to put together, it can be done in a disposable pan, and it’s perfect for 20+ guests. And considering that our exteneded family is huge, we always need BIG desserts. 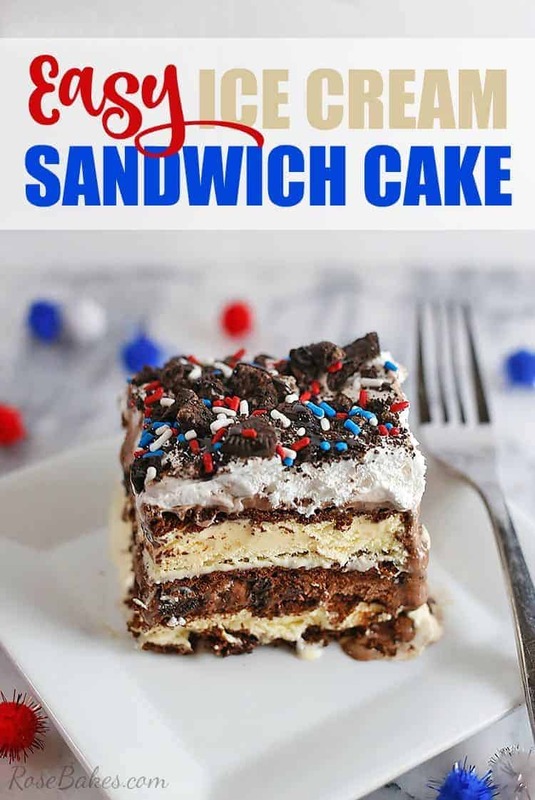 So obviously, if you need a delicous, cool dessert to take to your upcoming 4th of July party – or just a family get-together for the summer – THIS is it! 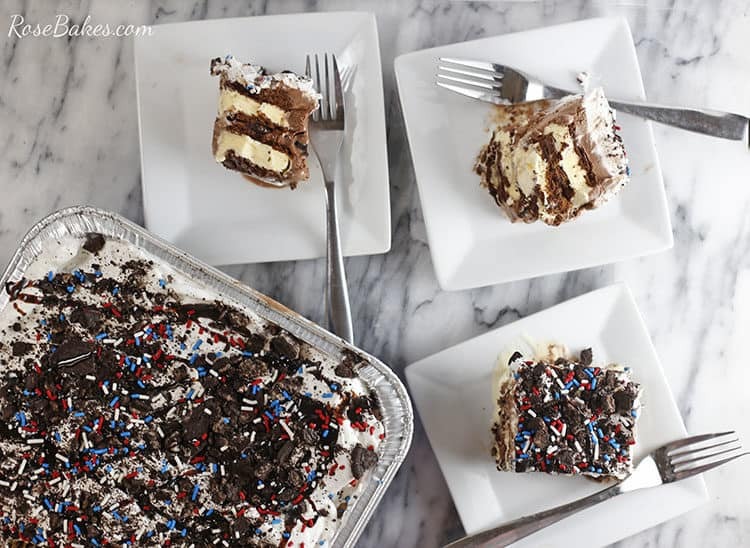 And if you’re looking for other 4th of July Dessert ideas? 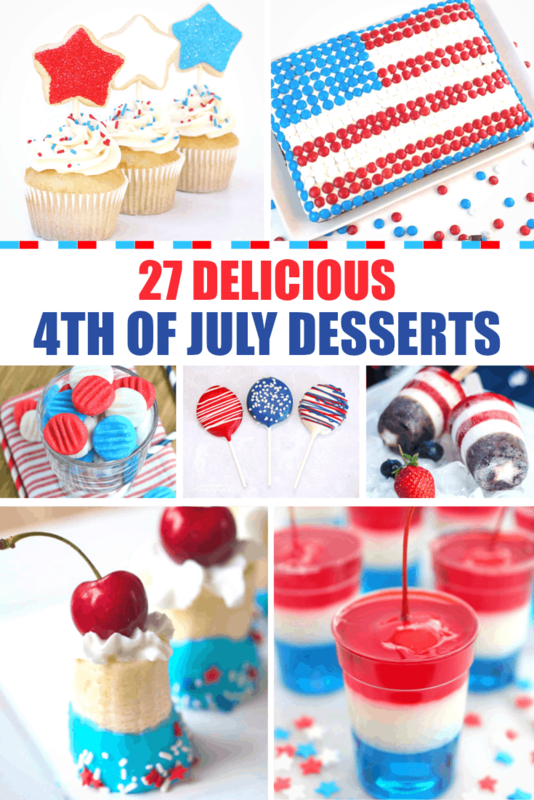 Check out this post with 27 Delicious 4th of July desserts and if you want something easy and cute – check out this tutorial for Easy 4th of July Firecracker Cupcake Toppers! For the record, you can make smaller version of this, in a smaller pan, and you can even change up the flavors of your ice cream, your ice cream sandwiches, your toppings, etc. 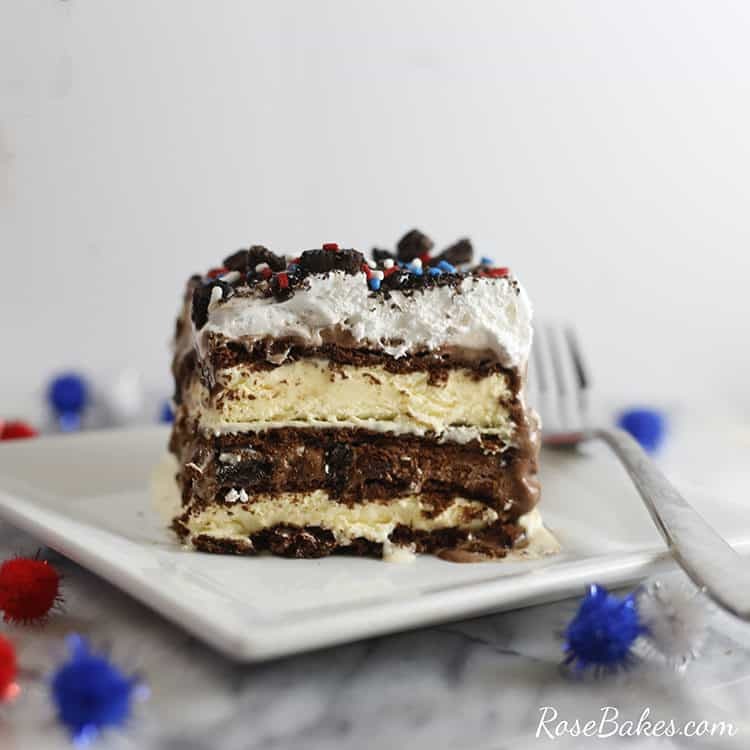 and make it your own dreamy Ice Cream Sandwich Cake – however you want! 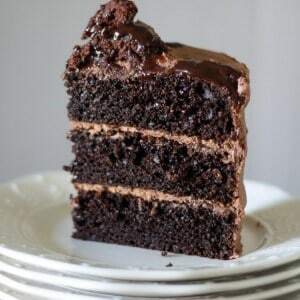 For example, it was either 2005 or 2006 when our pastor’s wife, Mrs. Mary brought us this dessert after the birth of our baby (I just can’t remember which baby 😉 ) and her version was somewhat different from what I’m making today. My kids went nuts for it at the time, but they’ve gotten pickier as they’ve gotten older, so I made this version something I knew our whole family would love! On Mrs. Mary’s version, she still had the drizzled chocolate syrup on top, but she added marichino cherries and I think some chopped nuts. Marichino cherries are not popular with all of my kids, so I skipped those. 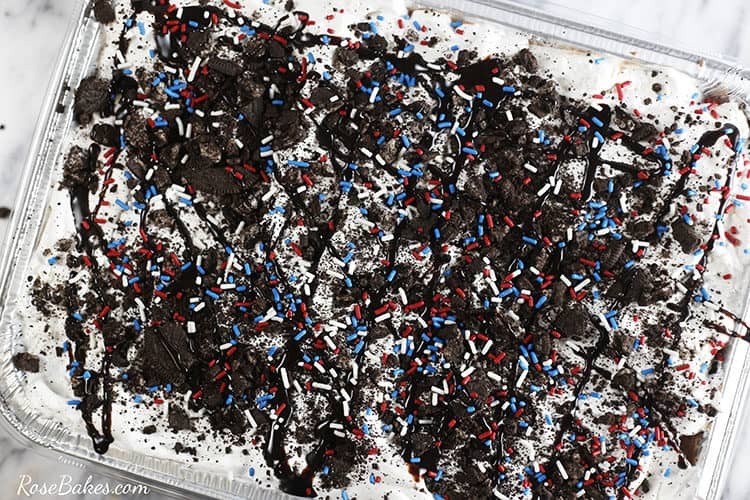 Instead, I used Crushed Oreos and added some red, white & blue jimmies to give them a little patriotic flare for the upcoming 4th of July holiday! And by the way – if you’re taking this to a big family get-together for the 4th of July – you’ll be everybody’s favorite person! You can even make it the night before and it’ll be great the day of! Plus, you can toss the pan (I love easy clean-up) and if it’s as hot where you are as it is here – everybody will thank you for a frozen dessert. Okay, so let’s get this show on the road! Now, to put it together, it’s super easy. First, cover the bottom of the pan with ice cream sandwiches. My kids were helping me put this together (while I took pics), so it’s a little messy. But really – who cares? 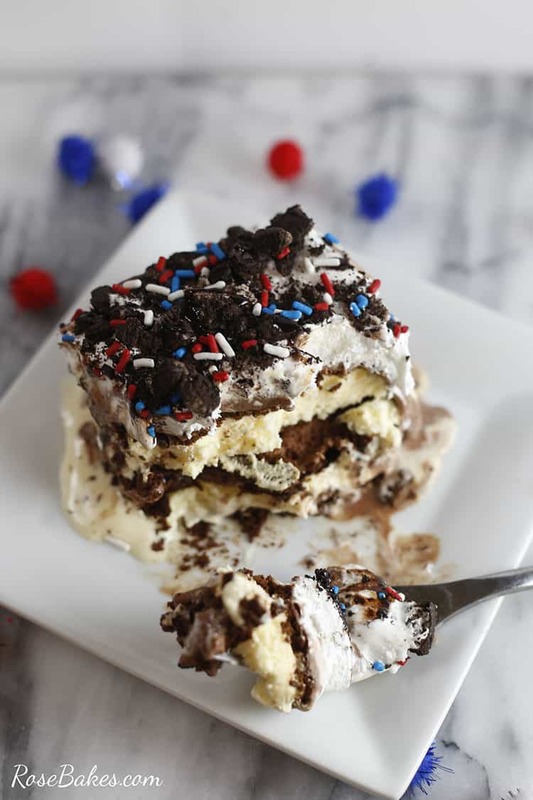 Next, spread a generous layer of soft chocolate ice cream over the ice cream sandwiches (filling in any gaps), then drizzle with chocolate syrup. And add a layer of crushed cookies. Then repeat with another layer of ice cream sandwiches. More chocolate ice cream (I didn’t use quite so much the second time) and then cover it all with whipped topping. Finally you’ll want to drizzle with yet more chocolate syrup and more crushed cookies. You really can’t have too many crushed cookies. Desserts with lots of texture are my favorite and that crunch mixed in with all the creamy is just … delicious. 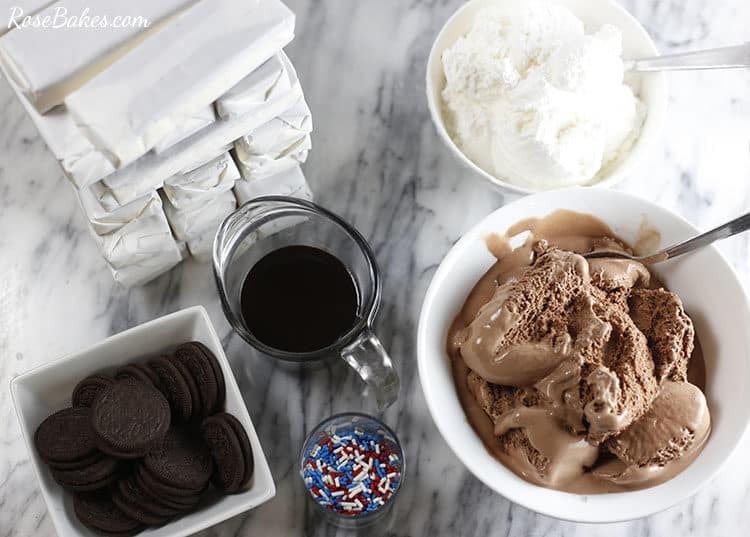 Okay – after that, I added the red, white & blue jimmies, but you could skip that step, or add sprinkles or jimmies to match your holiday or occassion (if you’re not making this for the 4th of July). Cover with plastic wrap (or the plastic lid that came with your pan if you got that kind). Then here’s the hard part. You have to re-freeze the dessert. And that takes at least 4 dreadfully long hours. I really would prefer to make it the night before we’re going to eat it (and let it freeze for several hours), but if you have kids who are literally dying to taste it, they can. After 4 hours. Of whining. 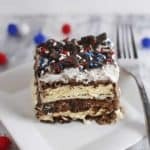 This is a super easy, layered ice cream dessert that only takes about 10 minutes to put together, it can be done in a disposable pan, and it’s perfect for 20+ guests. Oh, and it’s delicous and versatile! First, cover the bottom of the pan with ice cream sandwiches. Then repeat with another layer of ice cream sandwiches. More chocolate ice cream and then cover it all with whipped topping. Finally you’ll want to drizzle with yet more chocolate syrup and more crushed cookies and sprinkles (if desired). Cover with plastic wrap (or the plastic lid that came with your pan if you got that kind) and freeze for at least 4 hours – overnight is best.